Carpet can be a luxurious addition to your home. The plush material can make lying or sitting on floors more comfortable than wood, linoleum, or other hard surfaces. Your carpet can last years or wear but spills and mishaps can shorten the life of your carpet quickly. 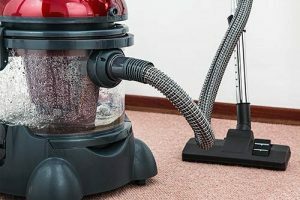 Fortunately, there are cleaning methods to remove the harshest stains from carpet and lengthen the life of the flooring. Read on for the best methods to remove the harshest stains on carpets. When the wine gets pouring, you get more susceptible to spills. If you or a guest spills a glass of wine, quick thinking and a few minutes of concentrated attention can remove the stain without interrupting the fun. There are several ways to remove wine stains. An alternative to blotting is sprinkling a generous amount of salt on the wet red wine stain. The salt absorbs some of the wine. Vacuum up the salt. Diluting the stain with clean, cold water helps remove additional wine from the carpet. Pour water directly on the stain, and blot the stain with a new clean cloth. This draws out the water and some of the remaining wine. Continue diluting and dabbing until your cloth appears clean, as if no more wine is lifting from the carpet. Make a paste of one part water and 3 parts baking soda. Spread the paste on the stain and let it dry. When the paste is completely dry, vacuum it up. Stir 1 tablespoon dishwashing detergent into cups of water. Dip a clean cloth in the liquid and blot the stain over and over with clean areas of the cloth until the wine stain is gone. Blot the spot that had the stain with a dry cloth to remove any excess moisture. If you have a wine stain that for some reason is particularly hard to remove, try mixing equal parts of dishwashing detergent and hydrogen peroxide. Use a clean cloth or a sponge to rub the mixture into the carpet. Blot the area with a clean, dry, cloth to remove the moisture and stain. If you choose to use this method it is very important to test a hidden area of the carpet to make sure it will not discolor the carpet. You might have spent months potty training your pets but still, accidents happen. A pet stain is probably the most unpleasant to deal with. Plus, there is the odor that must also be removed. Follow these steps for removing pet stains from your carpet. Clean up any solids with a clean paper towel, being careful not to rub the carpet or spread the mess. If the carpet is wet, use a paper towel to blot it as dry as possible. Mix stain fighting detergent into a quart of water. Pour the mixture into a spray bottle and spray the spot. It is not necessary to soak the carpet, just get the spot wet. Allow the mixture to set for just a few minutes, then blot with a clean cloth. Spray with clean water and blot dry. If the stain is not completely removed, repeat the process. If there is still an odor, spray the spot with white vinegar. Coffee can be the ultimate drink to every morning. The yellow-brown stain left by coffee is extremely unsightly. Follow these steps to remove coffee carpet stains: If the coffee spot is wet, carefully blot it with a dry, white cloth being careful not to spread the stain. You may need to use several cloths to get all the liquid up. Mix vinegar, cold water, and a gentle, non-bleach detergent in a spray bottle. Spray the stain with the mixture and blot up the excess moisture. Rinse with clean water and blot with a clean, dry, cloth. Repeat the spraying and rinsing until the stain is completely gone. When you are dealing with blood stains on carpet, the key is to remove the stain as quickly as possible. Remember that blood coagulates with heat, so you must use cold water, not warm or hot. Using the following method will help you to successfully remove blood stains from your carpet. Fill a spray bottle with 2 teaspoons of a grease-fighting, liquid dish detergent and very cold water. Spray the stain so that it is completely saturated. Use a paper towel or a clean, dry cloth to blot the spot as dry as possible. Use cold water to rinse the spot and blot dry again. If the spot is not entirely removed, repeat the process again. We have shared with you the best methods to remove the harshest stains on carpet. However, no matter what type of stain you need to remove, there are a few tips that work for substance which can cause a carpet spot. Blot any spilled liquid substance with a clean cloth to remove all the liquid. Remove solid particles before you begin using your spot removing method. Avoid rubbing the stain as this may make it more difficult to remove. First try your carpet cleaning method on a hidden area of carpet to make sure it does not discolor or damage your carpet. Using these methods for removing carpet stains will help you keep your carpet looking like new and provide you years of comfort.